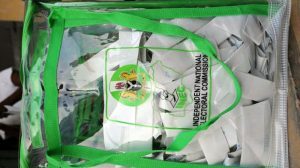 A recent lamentation by the Independent National Electoral Commission (INEC) that there are too many political parties ready to participate in the next elections was certainly misplaced. It was, indeed, an unnecessary alarm that does not edify democracy. The more political parties there are, the better for the deepening of what is universally known as the government of the people by the people for the people and the institutionalisation of its ideals. At a recent Retreat by the National Institute for Policy and Strategic Studies (NIPSS), Kuru, Plateau State, the Chief Technical Adviser to the INEC Chairman, Prof. Bolade Eyinla, who stood in for INEC said the growing number of political parties might pose challenges for the commission in the 2019 general elections. According to the INEC’s senior official, while delivering a keynote address titled, “The Dynamics of Managing Political Parties Professionally” at the colloquium in Kuru, thus far, 68 political parties had been registered. Eyinla said with over 100 political associations seeking registration, the number might increase before the elections, which could cause logistical problems, including the production of ballot papers for the 2019 elections. The INEC official said, for example, if 68 parties would participate in the elections, it could also mean that a total of 68 party agents would be at each polling unit, which could trigger some chaos. On the surface, these worries would seem founded and an unwieldy situation seems at hand. “Already we have envisaged some of these challenges and we are coming up with strategies to deal with them in our election project plan. Eyinla also appropriately noted that if any registered political party is mistakenly omitted from the ballot paper, it could lead to the total cancellation of the exercise. He put it graphically when he said that “I think perhaps one of the largest ballots that I have seen is that of Afghanistan where the ballot paper is nearly the size of a prayer mat. But as real as these challenges are, they are, paradoxically, the true ingredients of genuine democracy. The multiplicity of choices is the ultimate. And there is no better enrichment of the ideal than the endlessness of options. So, while the election management agency may be lamenting its rising frustrations on account of its work load, the citizens should be celebrating emerging electoral purity with multiple choices. Certainly, INEC, being the constitutional body set up to deal with all matters pertaining to elections, deserves all understanding. But democracy is an ideal and its tenets must never be compromised on the altar of logistics. The leadership of INEC was at the National Assembly the other day to defend the Commission’s budget proposals. That is the veritable avenue to deal decisively with logistics and finances for the elections. So, if INEC detects some challenges for the next elections, it should table such before the Nigerian people through their representatives who have the powers to deal with them. The more the political parties, the better for democracy. What is more, the idea of multi-party system is not just conventional, it is a creation of the law and INEC has no power to limit the application of that law because of logistic limitations, especially such as technology can seamlessly deal with at this time. Not all the political parties may field candidates for presidential, national assembly or governorship elections. But all Nigerians are entitled to the right to vote for anyone and any party of their choice at any level of governance. So, there is no need for INEC to raise unnecessary alarm on the number of political parties. It is no longer democracy when choices are restricted. The majesty of democracy will even be enhanced when certain political parties begin to grow in some political zones to the extent of targeting contests for particular mandates at local levels only. So, INEC should be more concerned about budget proposals that can take care of even 100 political parties if that is what Nigerians want. Meanwhile, political party leaders and politicians should place a high premium on political education for members so that chaos and violence during elections may be prevented. And the Nigerian government should consider the need for electoral offences special courts an urgent one. Democracy is an ideal. And the future, the peace and stability of Nigeria would not be well served with any circumscription of that ideal for logistical, financial or any other reason. For democracy to flourish, all parties must be allowed to flourish or die on their own strength. Previous article Fela will be so proud of Seun. Next article The Netherlands is funding Nigerian NGOs, social and cultural entrepreneurs. 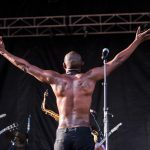 Fela will be so proud of Seun. 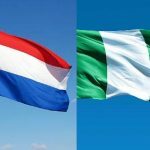 The Netherlands is funding Nigerian NGOs, social and cultural entrepreneurs.